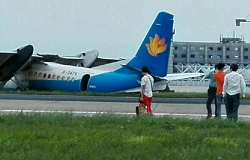 The Xian MA-60 „Mega Ark“, was on final approach to runway 03 at Fuzhou Airport, when the rate-of-descent suddenly increased. Flight JR 1529 touched down extremely hard before the touchdown zone markings resulting in a structural failure of its entire wing section which broke free of the rest of the fuselage. After touchdown, the aircraft veered to the right departing paved surface. It came to a stop on soft ground approximately 25 m beneath the runway hard shoulder. It is understood that seven people (5 passengers and 2 crew) suffered injuries either during the landing or during the evacuation process. Although the maingear withstood the impact forces, the fuselage broke immediately aft of the wing making the aircraft a total loss. 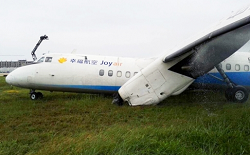 Chinas investiating body, the Chinese Civil Aviation authority CAAC reported that according to preliminary investigations, there was no technical fault with the aircraft until touchdown. The aircraft had entered service in 2013 and had since accumulated 3149 flight hours in 2586 flight cycles. Further flight data recorder (FDR) examination revealed that the approach was flown normally until 38 feet above the ground when the pilots throttled back the engine thrust levers below flight idle. They also have disengaged the lock to prevent such thrust settings while in flight. This caused a massive loss of lift and the rate-of-descent increased substantially. The pilots were unable to arrest the descent until gound impact. 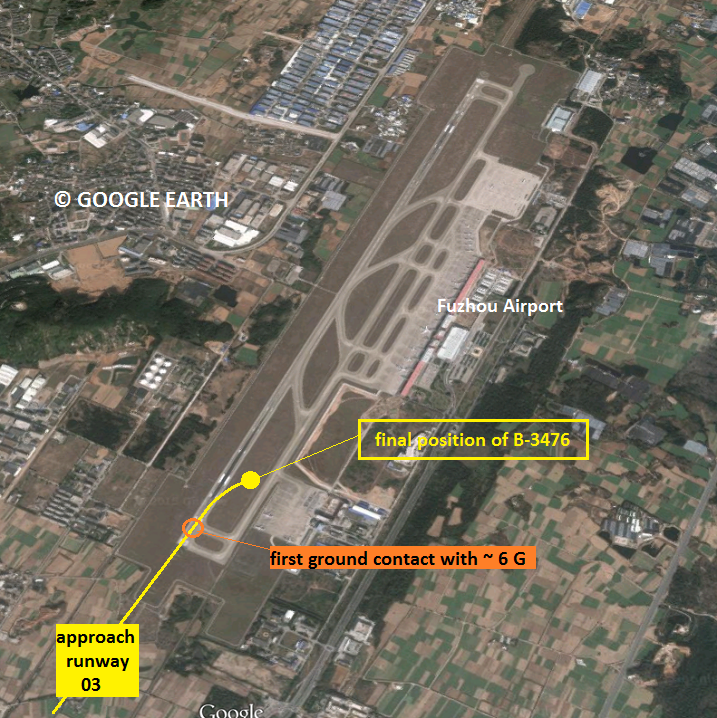 According to FDR data the aircraft made touchdown at a approximately 1500 feet per minute which is equivalent to 6G. Five days after the accident, the CAAC reported that the pilot-in-command ignored the critical thrust condition below flight idle until it was too late for recovery action. It was further established a violation of basic operational standards. 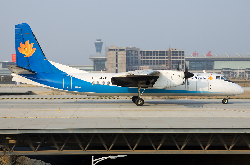 Departure of standard operational practices were quite common at Joy Air, the CAAC noted.